Saving Social Care is a book about solving one of the biggest challenges we face: how to provide enough quality care for an ageing society? More specifically, it gives practical help and advice to care employers on who to look for as their next frontline care employee, where to find them, how to screen them and, critically, 20 great ways of keeping them. Saving Social Care is not a book about theory. It’s meant to be your companion as you recruit and manage your caring workforce to keep pace with rapidly growing demand. Well-thumbed and with your notes and comments in the margins. This website contains supporting information referred to in the book. If you have already bought your copy – thank you. Please tell me what you think and share your own experiences using the Feedback form at the bottom of this page. If not, why not buy a copy using the button below? “Effective recruitment and retention of a caring and skilled adult social care workforce is pivotal to ensuring provision of high quality, person centred care and support. It can also be a real challenge to find people with the right values and achieving this requires a range of solutions. Steve Allen, Group Chief Executive, Friends of the Elderly. Trevor Brocklebank, CEO Emeritus, Home Instead Senior Care UK Limited. 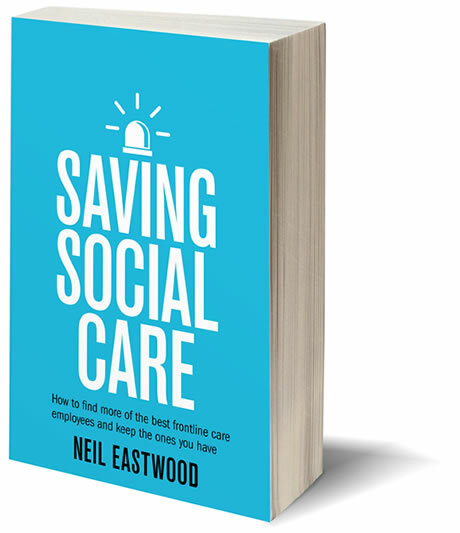 “Neil’s insight into the conditions that fuel the social care employee crisis – as well as his solutions – are unique. He possesses the rare ability to distil down a huge problem, such as this, and deliver incredibly effective solutions that are not only easy to understand, but also easy to implement in your business. “The information in this book just works. We have applied Neil’s approach to our business for a number of years and it has helped us build a national network with a high quality, stable and committed workforce. “Our experience is that workforce planning, recruitment and retention are currently some of the main challenges for the social care sector. Neil Eastwood has written a great practical guide on how providers may be able to overcome some of those challenges, which readers should find both highly useful and an enjoyable read at the same time”. “I wish Saving Social Care had been written while I was involved in managing care and support services. Neil Eastwood is a UK-based international speaker on frontline healthcare worker recruitment and retention. He has spent many years studying the best practices of care recruiters around the world. Previously he was a director at a 10,000-staff care provider and studied at the University of Sheffield and Harvard Business School. Neil is a sought-after presenter. His findings and recommendations have generated dramatic improvements in the volume and quality of frontline staff with a wide range of care providers. He presents across the UK, Europe and further afield. 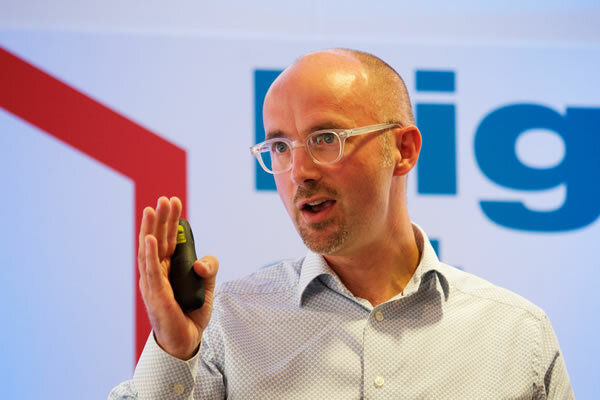 His company, Sticky People, holds the UK licence for the award-winning care candidate screening tool, PeopleClues, which is used by over 1,000 social care recruiters and interviewing managers in the UK and Ireland. Copyright © Sticky People Ltd 2018. All Rights Reserved.